Sophie Walker, not content with simply being known as the young woman designing gardens for the Chelsea Flower Show, has released a book with Phaidon entitled The Japanese Garden. With texts by artists Anish Kapoor and Lee Ufan and architects John Pawson and Tadao Ando, the book is an incredible ode to the beauty and tranquillity of the country’s gardening tradition. 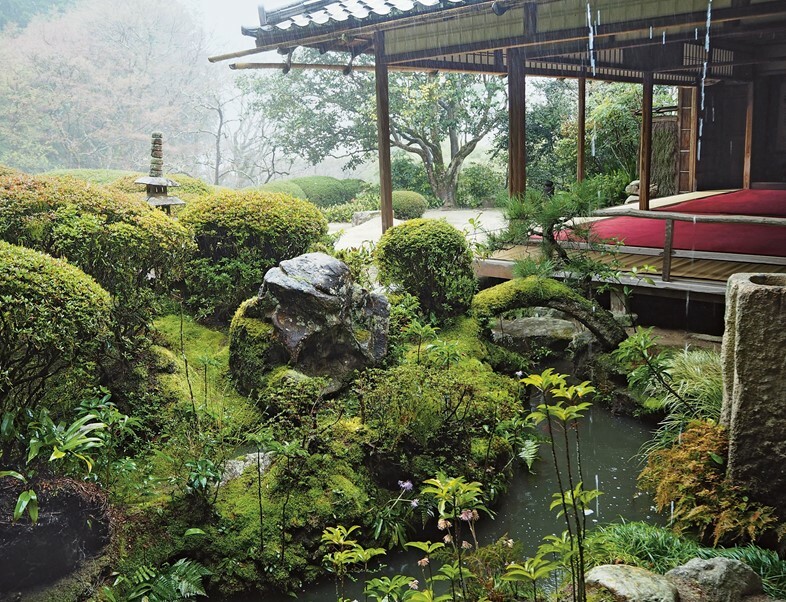 Here, we chronicle seven of the living gardens showcased in Walker’s new publication, that will make you want to book a flight to Kyoto immediately. Zenkō Adachi, the designer of the Adachi Musueum garden, saw it as a living painting with six layers reflecting a Chinese song dynasty landscape. 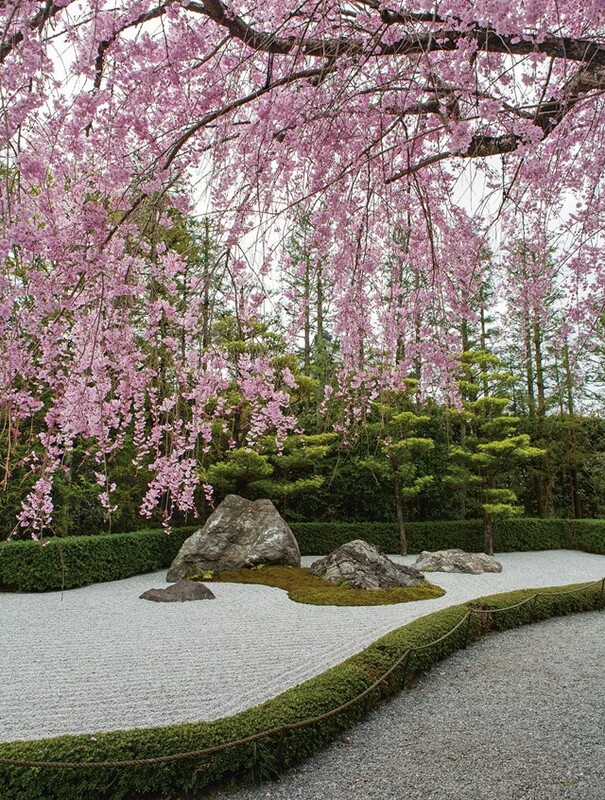 The garden highlights the Japanese Shinto love of stone above all other materials. Since Neolithic times, many of Japan’s sacred precincts have been founded on sites of natural rock. Iwakura (sprit rocks) and iwasaka (rock seats) mark the confines of sacred spaces. Taizō-in is supposed to have been designed by the early 16th century iconic Kyoto painter Kano Motonobu, who was a member of the Kano school. Alongside creating new techniques in calligraphic painting, Motonobu was best known for his landscapes and portraiture. The garden comes into its own during cherry blossom season; the brief flowering is said to be a metaphor for our own brief lives. Not surprisingly the Kyoto Imperial Palace, which was the royal family’s residence until 1870, has an incredible garden. 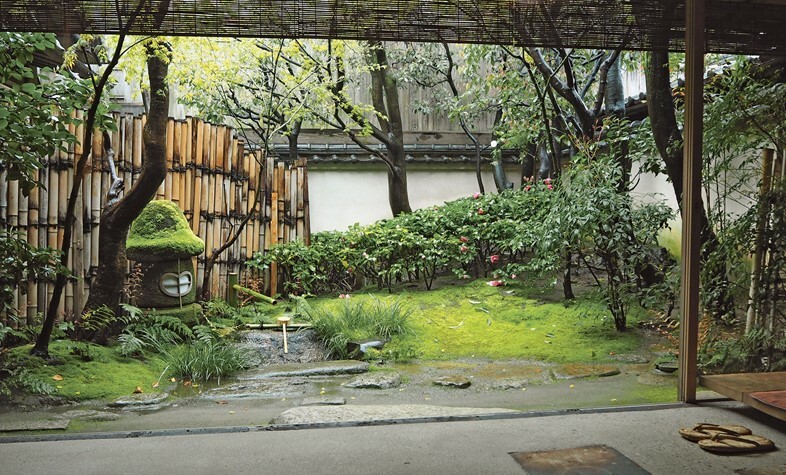 The garden echoes the purification of spaces found in Shinto shrines. The ceremonial raked gravel forecourt has an orange and cherry tree, the pond garden has a bridge that leads to a small island, while a shaded stream was once the chosen poetry-writing spot for imperial courtiers. In Zen philosophy, the universe can be reduced to three shapes – the square, the circle and the triangle. 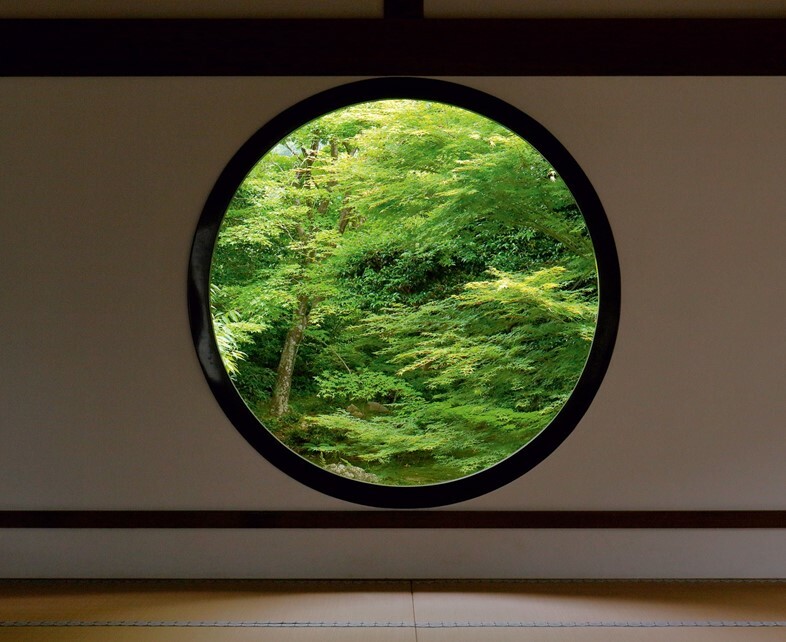 The garden at Genkō-an was designed to be viewed from windows that echo this philosophy. The square Window of Confusion reflects the singular view of the ‘I’ always looking out, while the round Window of Enlightenment has no beginning or end and looks in all directions. The visitor’s third position forms the triangle. Stone setting priests called ishi-date-so introduced geomantic principles into the Japanese garden. Under geomantic conditions, the setting of stones was believed to have the power to affect the fortune of nearby inhabitants, to affect the Earth’s movements and even to ward off evil; to misplace stones might bring illness and bad luck. The stones in the Kennin-ji raked garden reflect tidal waves and flowing water. This temple in Kyoto was built in the 17th century by a literature and poetry devotee. 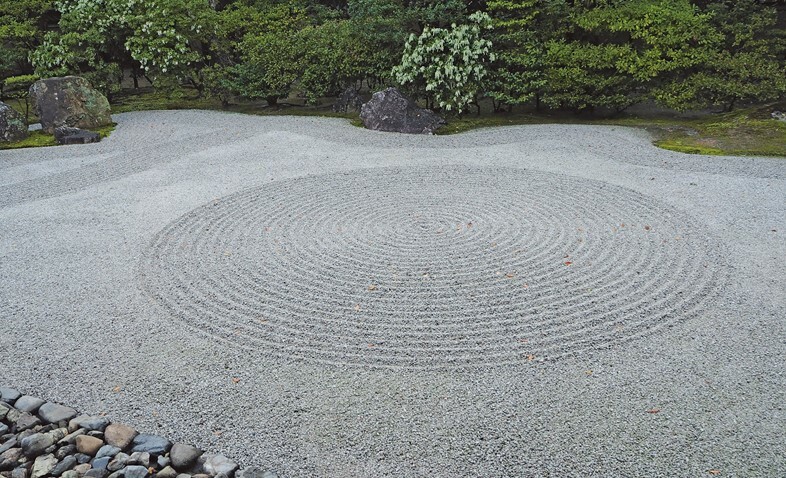 The garden demonstrates how schools of Buddhism have investigated the garden as a tool for religious teaching, practice and contemplation; as Haraada of Tofuku-ji put it, “one must become the way the garden feels”. Sitting between an interior and exterior garden, this modern space designed by Kahikawa Yoshitomo with Akenuki Atsushi is set inside Kyoto’s Museum of Contemporary Art. 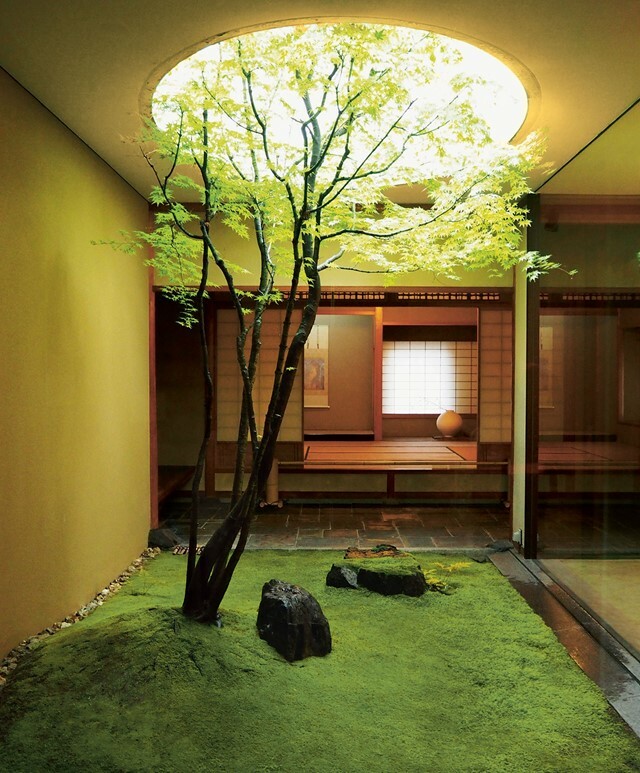 Made of moss, two rocks and an acer tree which grows up to natural light, the design of the garden is deliberately simple and punctures the top floor gallery space to let in the elements. 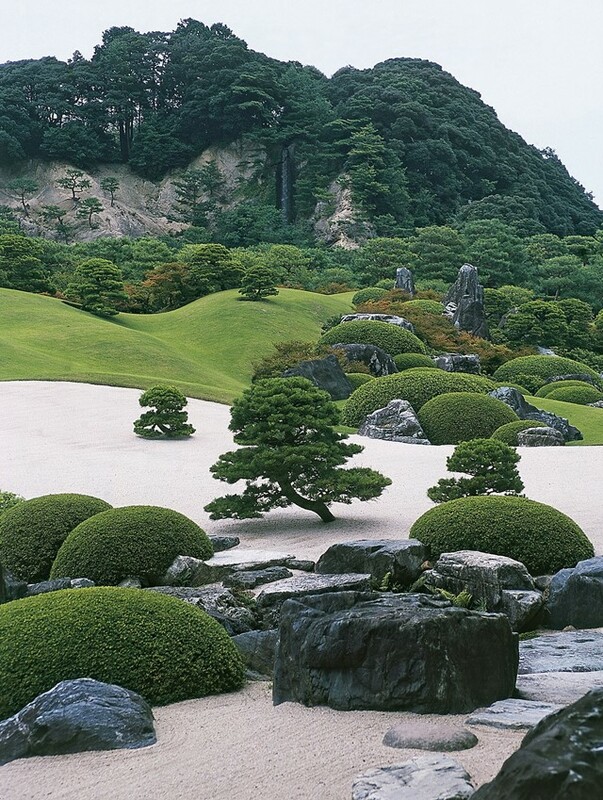 The Japanese Garden by Sophie Walker is available now, published by Phaidon.